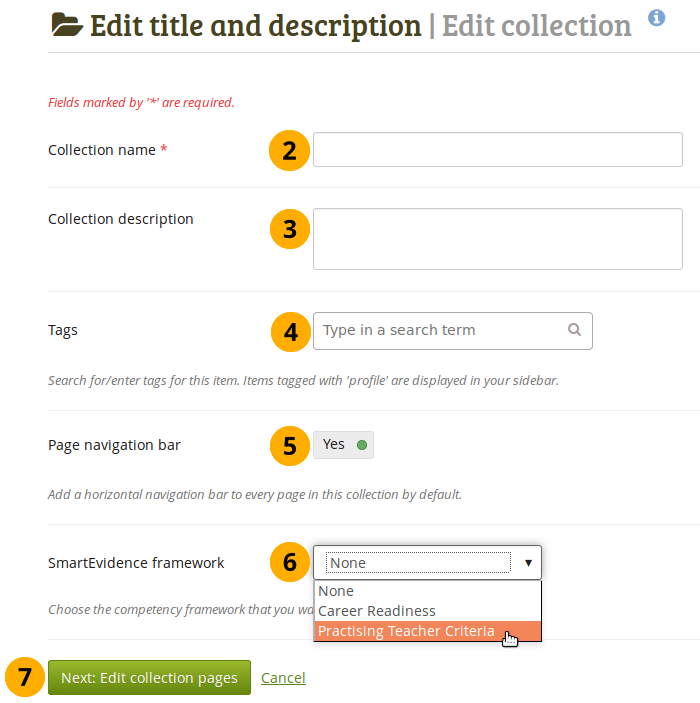 SmartEvidence framework: Select the framework that you want to associate with your collection. 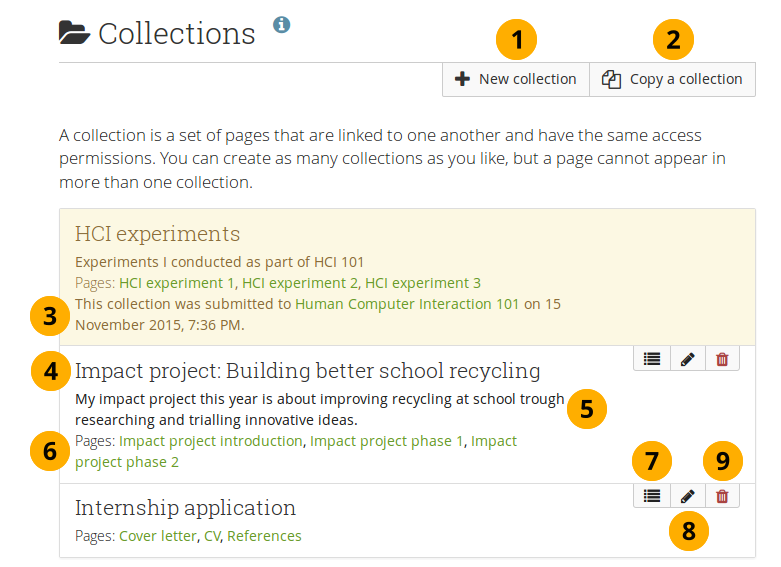 You can change the collection as long as you have not put an annotation onto a page within the collection. 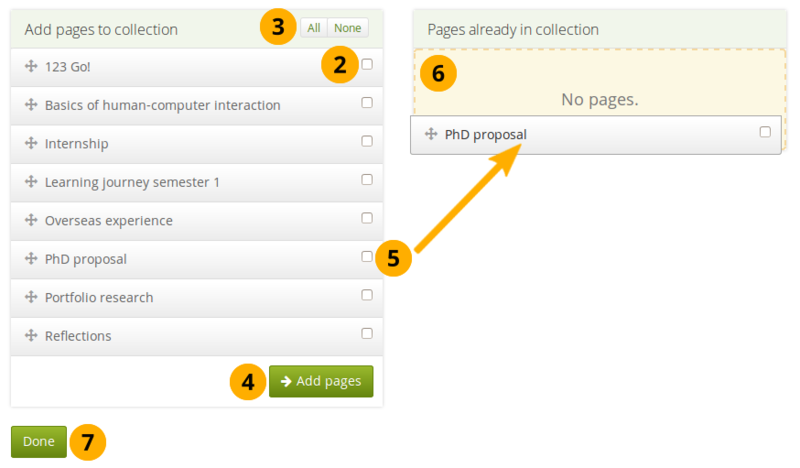 This functionality is available if your institution administrator allowed the use of SmartEvidence.